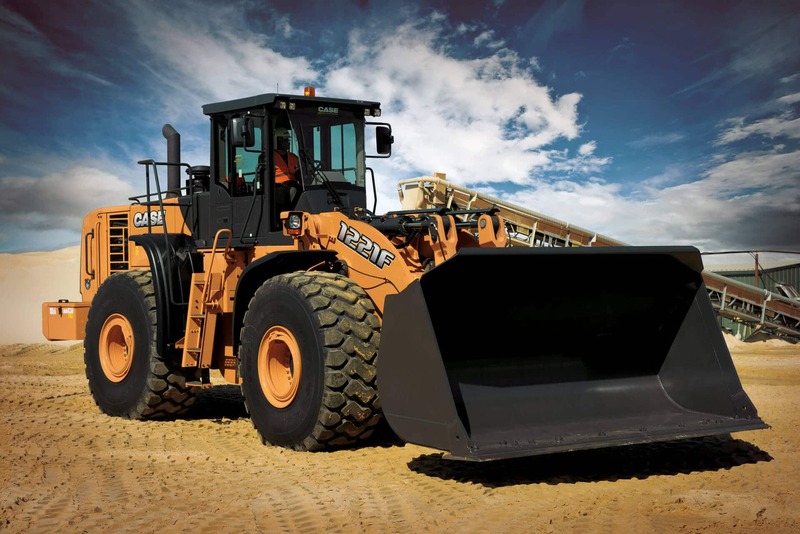 When your job requires moving large amounts of material, the CASE 1221F wheel loader is the model for you, combining more power, control and productivity all in one machine. 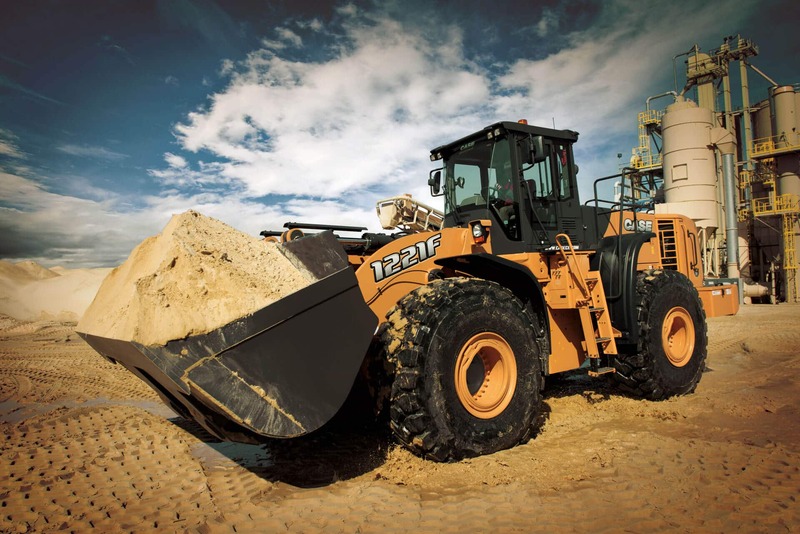 The powerful 1221F is protected by CASE Procare, the most complete maintenance and support program in the industry. With a new, powerful Tier 4 engine, the Case 1221F is prepared to run longer, lift faster, reach further and consume less fuel. The new power shift transmission combined with transmission mode settings allow you to set the transmission to the specific application needed – ultimately maximizing productivity and performance. 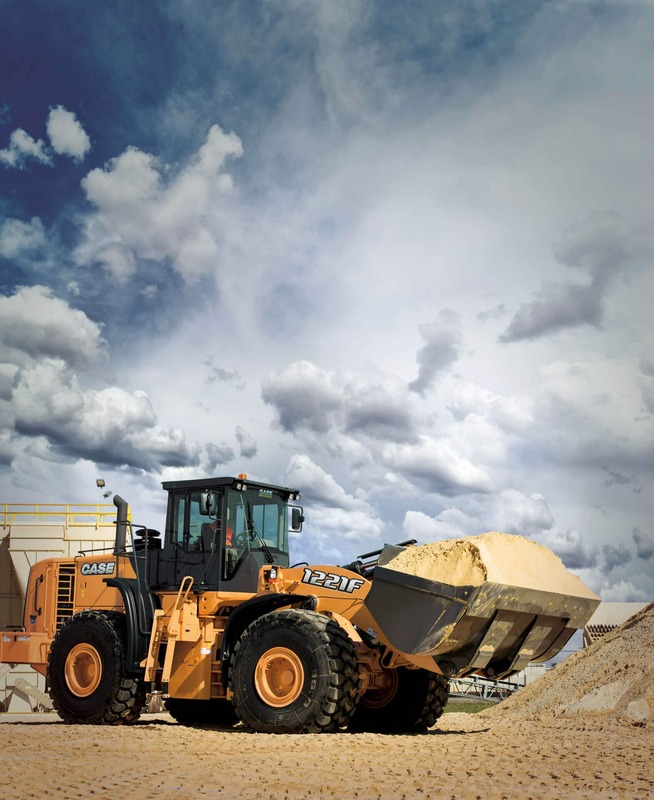 Load capacities of up to 34 tons deliver up to 28% better performance from dusk to dawn. CEGR with a Diesel Oxidation Catalyst (DOC) and Diesel Particulate Filter (DPF) offer Tier 4 interim certification and provide clean burning power and plenty of torque to move more material per hour. Improved overall side panel air flow along with cleaner direct air flow combine to ensure extended service intervals and component life. The drastically improved operator environment now offers a larger, more enhanced operator platform all within a quiet cab. With an improvement of 18% in cooling capacity, a new, full glass door, and increased visibility the 1221F delivers the most convenient and comfortable experience in the industry. Minimize maintenance time with easily accessible daily service points and drain valves. 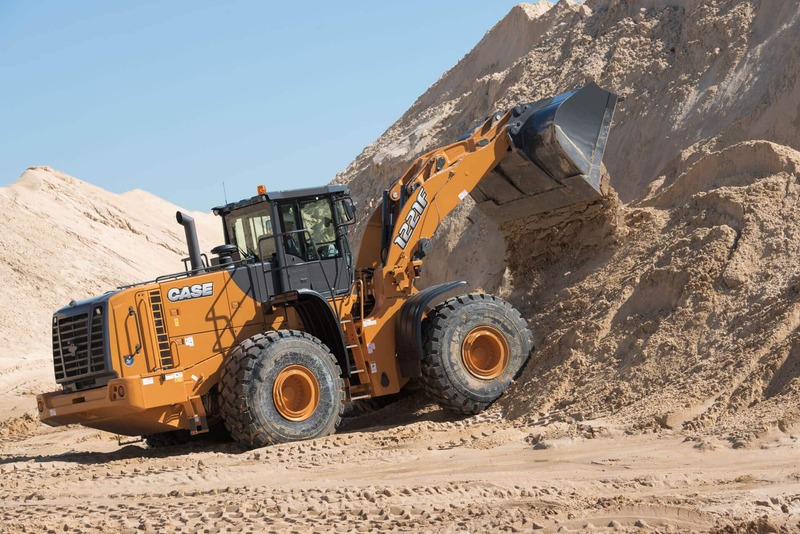 The Case 1221F was built with you in mind, relocating the fuel fill point, the cooling fan, and radiator assembly to ensure effective cleanouts and eliminate downtime.